Want to Save Money and Increase Productivity? More and more these days, leading companies offer wellness programs for their staff. Why? Because they know that employees living a healthy, balanced lives are more productive in the long run. According to recent research, there is a direct relationship between modifiable lifestyle risks and lower worker productivity (1). By offering your employees a solid fitness and nutrition program, you save your company money in the long run; you also empower them to gain a healthy body, a calm mind, and energy to face the rest of the day. Energized employees are more productive employees. How do you set up a wellness program? It’s easy. Let me show you how. Offering an exercise class once a month is a fun way to bring your employees together as well as let them know you really care. (Take that, Hallmark!) If you have a high stress company, hiring a yoga instructor to help them chill out will work wonders. If you want to wake up your employees midday, bring in an aerobic kick boxing instructor in to get their energy pumping. Most instructors will hang out during lunch and offer advice or answer any questions that your people may have. Lunchtime can be pretty crazy at work. A lot of people skip lunch or grab something quick and unhealthy. Try offering a nutritious lunch for your employees several times a month. You can even set up a potluck. That will get them thinking in terms of healthy cooking, which will likely impact their home life as well. Living a healthy life doesn’t only require exercise; it also involves watching what you put in your stomach each day. People need incentives to live healthier lives. Let’s face it, it is far easier to let yourself go, skip your exercise routine, and speed through the drive-thru for lunch when pressed on time. 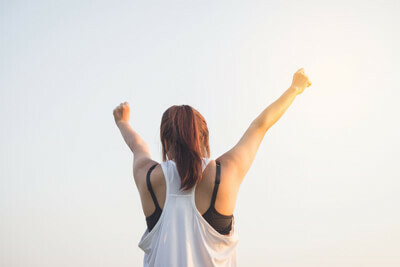 How about inspiring your employees to get healthier by offering a reward if they follow through with a wellness program? Keep track of who commits to the program and reward them with a gift certificate to a healthy restaurant or 1 month free at a local gym. You may even want to create a little healthy competition, which sometimes can be a powerful motivator. Have your employees set personal goals and chart their progress. This will offer them a structured and focused program that can inspire them to really succeed. For some, it may be to lose weight, for others decrease their blood pressure due to stress or to simply eat healthier. Either way, when they see the progress they are making, they will be extra motivated to keep moving toward their goals. The reinforcement of maintaining consistent progress may be the very key to their success. You have the opportunity to have an amazing impact on your employees. In turn, they can reward you with productivity. Your relationship will soon become a beautiful symbiotic union and your employees will live long, healthy successful lives because of you. People are such a good investment–just wait and see. Guest Post: Sarah Stevenson, a.k.a., The Tini Yogini. Sarah is a writer for Beachbody and a Certified Yoga Instructor in Southern California with a degree in Behavioral Psychology. Sarah teaches not only yoga classes, but also life affirming workshops.